This research successfully mapped long-term salt marsh change with the Landsat archive. The methodology utilizes established methods for converting Landsat indices into estimates of aboveground biomass. 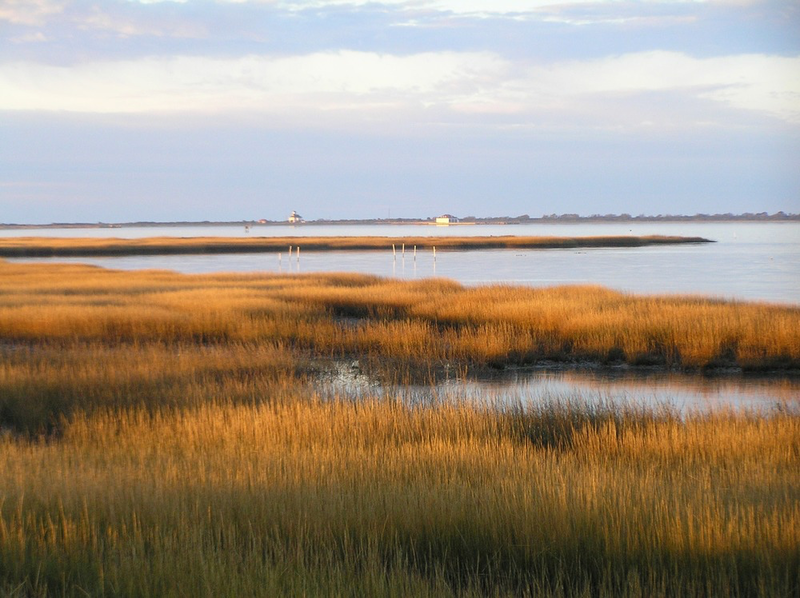 This research identified the Delmarva as an area of significant salt marsh loss over the last three decades. 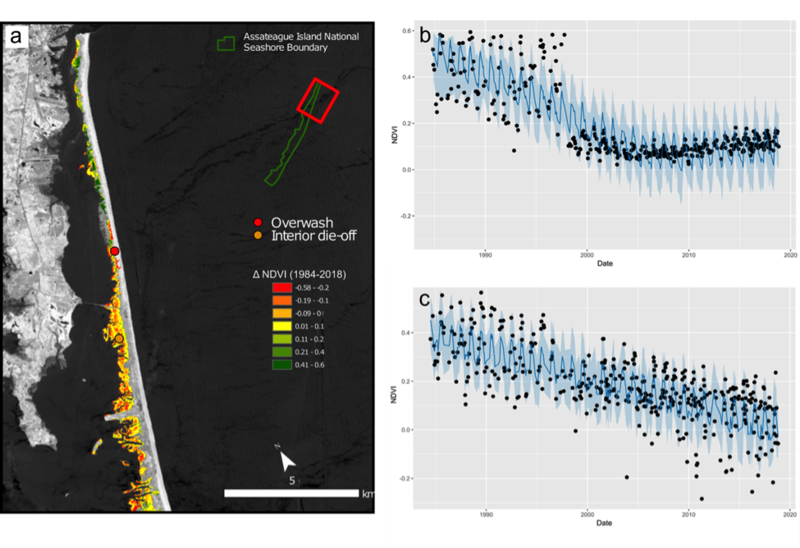 The study compared high-resolution classification of Assateague’s salt marsh finding substantial agreement between the aboveground green biomass estimates and salt marsh extent within the Landsat pixel. The research has significant implications for the monitoring of salt marsh at regional and continental scales. Salt marsh environments are changing due to many localized factors such as herbivory, regional sea level rise, eutrophication, and tidal range. The scalability of this method allowed for monitoring across the mid-Atlantic coastal region and could be expanded to include additional areas. Additionally, salt marsh biomass is an essential component of understanding salt marsh resilience given the ecogeomorphic feedbacks between biomass and accretion. These estimates of salt marsh biomass change could be critical for better understanding the response of salt marsh to sea level rise with spatial specificity. Landsat is the longest running continuous earth observation mission, allowing for time series that stretch across decades. The literature on Landsat is extensive allowing for the utilization of important sensor specific developments that enable and improve the current research allowing for greater certainty. Without Landsat, this study would be limited in scope and application. Landsat enables a greater understanding of gradual salt marsh die-off due to sea level rise. Will the National Park Service which manages both of your study sites be able to make use of your research? This research arose from the use of high spatial resolution satellite imagery for mapping the salt marsh environments. Even when given multiple dates of high-resolution imagery for a site there is uncertainty in the change being observed due to the lack of temporal resolution. The utilization of Landsat which has an adequate temporal and spatial resolution for salt marsh mapping allowed for greater understanding of historic salt marsh change and improved monitoring of current trends. The current approach can allow for increased monitoring and understanding of salt marsh change at these sites. Is your work methodology transferable for change analysis of other salt marshes? This work is highly transferable to other salt marsh environments. While this presentation focuses on Assateague and Fire Island, the method was applied across the mid-Atlantic coast region. This application could be expanded further given the availability of Landsat imagery and processing power of Google Earth Engine.